I love the “taking the smallest element and making it the biggest” aspect of this design: the postal code is often a throwaway item added (or not added) to a return address; this flips that, and makes it unavoidable. 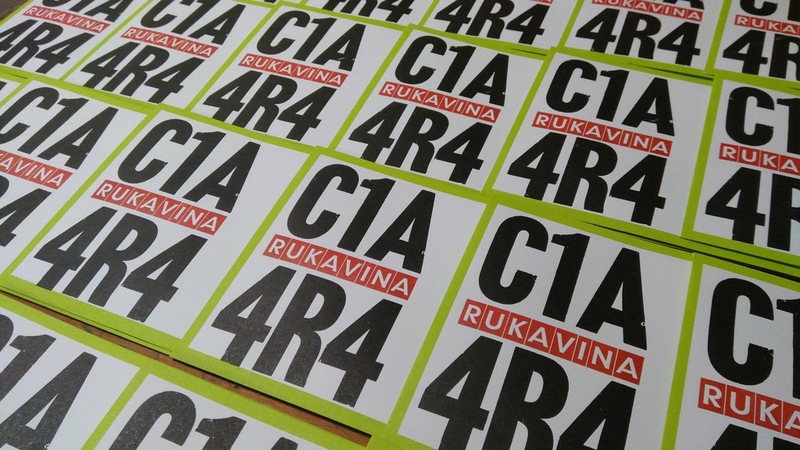 My contacts within Canada Post suggest that if you mail a letter addressed simply to “Rukavina C1A 4R4” there’s a good chance it will get delivered; this puts that to the test, at least on the return side. Written April 24, 2018 at 5:11 p.m.